During the week my Deluxe Limited Edition copy of Shadowrun 5th Edition arrived, and she is beautiful. Comes in a lovely bonded leather slipcase embossed with a Mayan Shadowrun symbol. 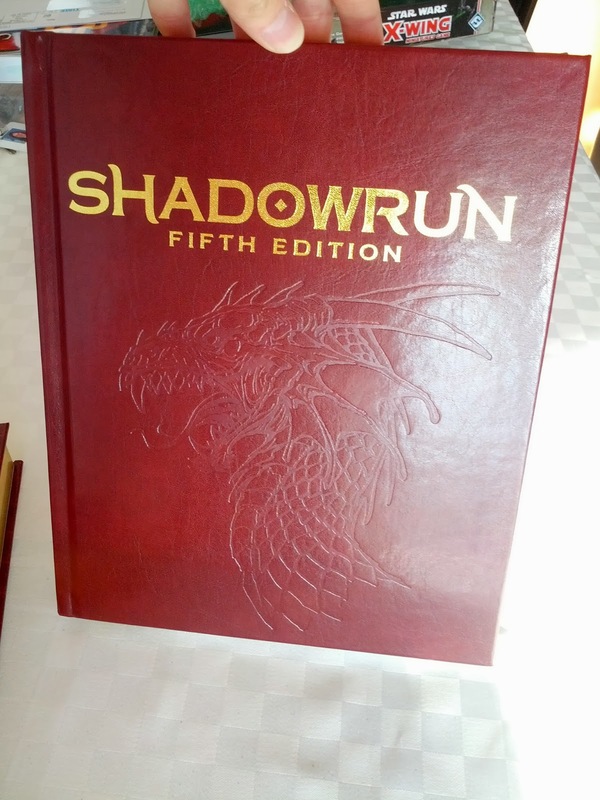 The book itself is covered in dragonskin (probably actually leather, you know how these megacorps like to cheap out) with a scale texture. The Shadowrun title is embossed on the front in gold, and the Shadowrun S on the back cover also so embossed. The pages themselves are very heavy weight and gold edged. Gorgeous. I can now add this to the Limited Edition that I picked up in store. 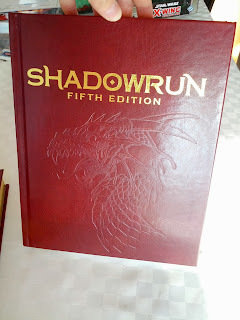 That I never noticed before but has a really cool embossed dragon on the cover. 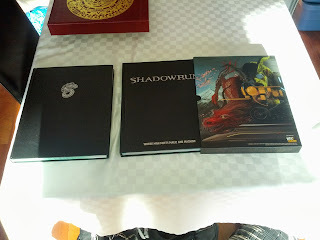 They can now go with my other Shadowrun Limited Editions, the 4th Edition and the 25th Anniversary Limited Edition. 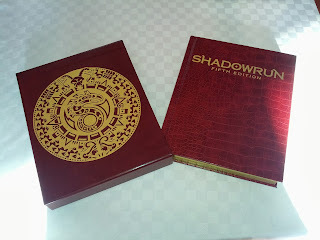 Thank you Catalyst for the newest and best version of the Shadowrun ruleset. 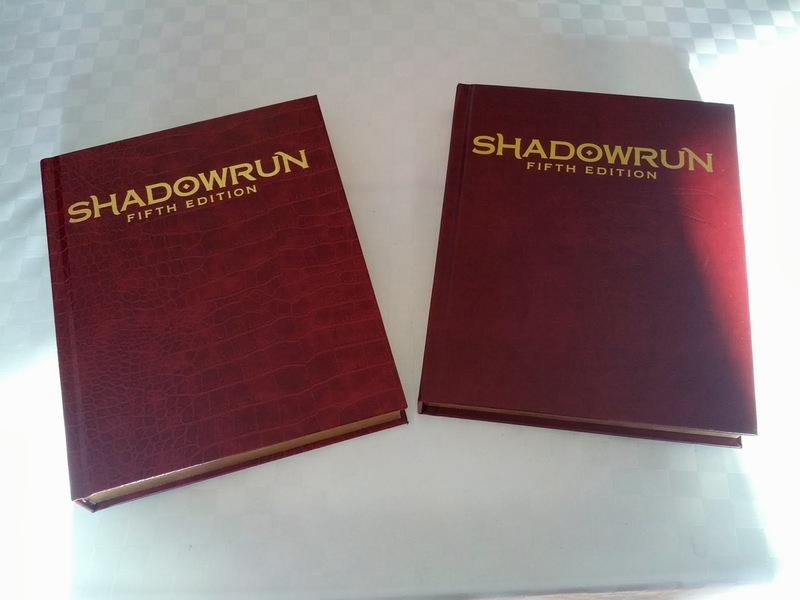 For those who missed it, you can find my review of the 5th edition over here.